Ventilation Fans are designed and developed under the Air Turbo Ventilators does not require any power or electricity to operate , Continuously in motion with the wind ,removes extremely hot air in the summer.guidance of vendor’s skilled professionals as per industry norms. Our developed Industrial Ventilation Fan are based on the latest technology and are effective in managing the temperature inside the industry and exchange air from inside to outside in automatic fashion. 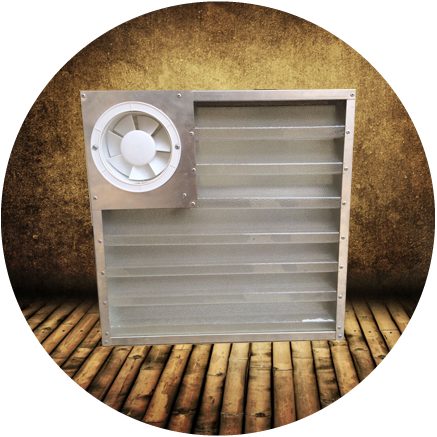 This ventilator or ventilation Fan is used for ventilation purpose and for keeping humidity and temperature at required level. Industrial Roof Ventilators provides a safe , cool healthier and more controlled environment by removing the entrapped heat and industrial emission ensuring the health of workers , thus contributing to an increase in workers productivity. The offered ventilator is made available in various dimensions suitable for different organizational sizes. The aim of the exhaust is to remove the dirty air and adjust the temperature, humidity. Industrial Ventilation Fan is used for general ventilation and is propeller type. Exhaust fans are used for ventilating commercial buildings and also used to remove the heated air and fumes from the workroom. 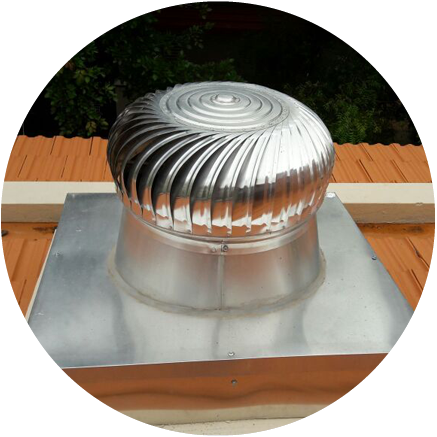 Industrial Exhaust Fans or Powerless ventilators are used to exhaust hot air in simple and efficient manner .This product is a wind operated ventilators installed on the roof and is rotated by the wind , the stale air inside is exhausted through the vanes and a natural inward flow of fresh air is boosted . They don’t require any electricity to rotate. 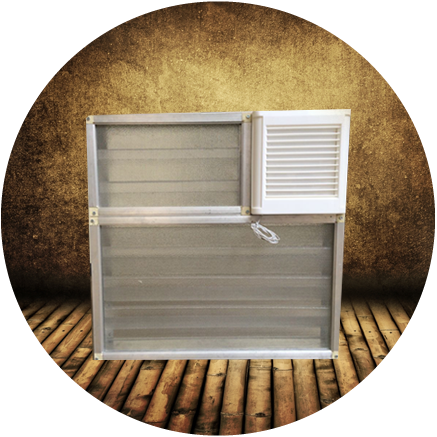 The offered Air ventilator is made available in various dimensions suitable for different organizational sizes. Air Roof Ventilators are manufactured with best quality Aluminium and Stainless steel materials. Wind driven turbine ventilators or Air Roof Ventilators work on the principle of wind assisted ventilation, which is independent of operating time. This System functions and performs with unlimited energy source like wind energy thus saving operational cost, wiring, maintenance, etc. Air Roof Ventilators is an ideal option to be used for maintaining optimal temperature inside the structure, and to maintain the freshness. These Ventilators are easy to install on the roof of the structure, which spins in sync with the wind power. Leveraging on the natural airflow, ARV range of ridge ventilators offer high performance and cost-effective ventilation solutions for commercial and industrial buildings. Inspired by natural and engineering development, ARV vents use the naturally occurring phenomenon of thermodynamic forces to draw exhaust. 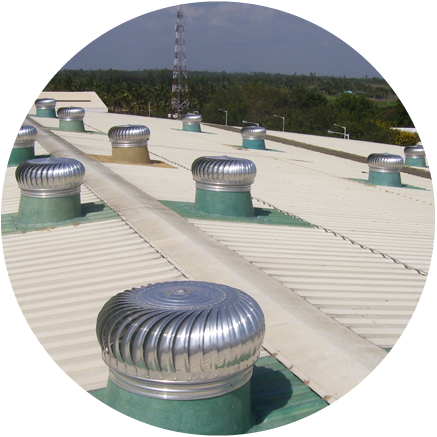 ARV roof vents naturally extract airborne waste, low to medium heat from the building, providing optimum temperature combined with an infusion of fresh air into the building premises. Using virtually no energy, ARV roof vents offer numerous cost advantages, making them a sustainable, environmentally friendly and effective alternative to mechanical ventilation systems. Each 10 feet unit features 180 square inches of free area with a base rating of 450 CFM of air movement. Units in lengths less than 10 feet can be manufactured upon request. Throat size is determined by roof pitch. Aerodynamic, low-profile design enhances the looks and performance of architectural roof systems. The unit moves toward the ridge on floating roofs. 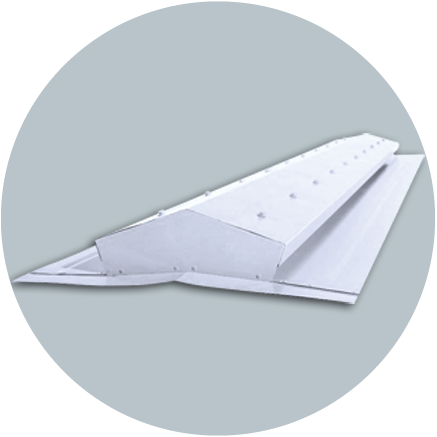 Vents are made to match roof slope to maintain low-profile appearance. Unit is factory assembled and ready for installation. 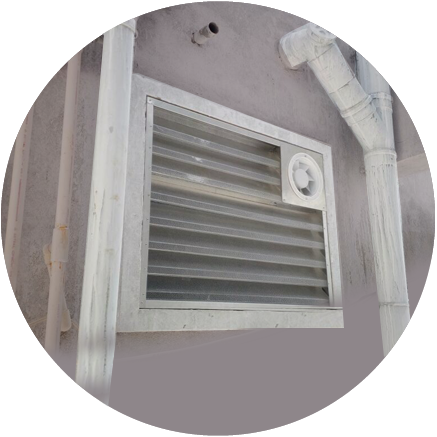 Vent features a time-tested, economical, self-cleaning and durable ventilation core. All steel parts are 24-gauge. ARV micro ridge ventilators are aesthetically appealing, and are an extremely efficient means of ventilating metal roofs. Each unit is manufactured in 10 feet lengths and can be installed as a single unit or can be butted together to form a continuous run. By lapping the furnished joint covers over the top of the butted joints in a continuous run, the vent has the appearance of a single unit. ARV is a reputed, leading supplier of industrial louvers in India. Industrial Louvers are manufactured using superior quality material and latest techniques. ARV Louvers are fitted with horizontal and vertical slats that allow light and fresh air, reduces noise, restricts the entry of rain and direct sunlight. Aluminium Louvers enhances a building structural aesthetic appeal and meets prerequisites of air ventilation, facilitating free flow of air with restricted entry of water and dust. 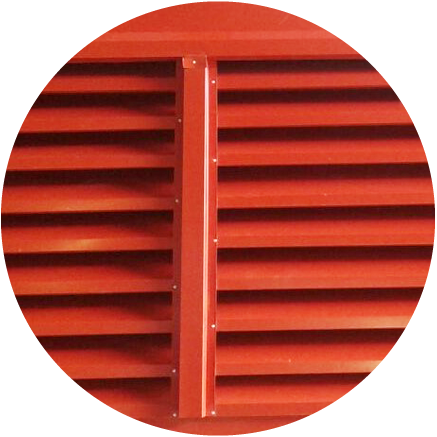 ARV Louvers are most preferred by industries due to its high durability and perfect design.Moreover, these are available in attractive colours / coatings to suit different types of exterior facades. 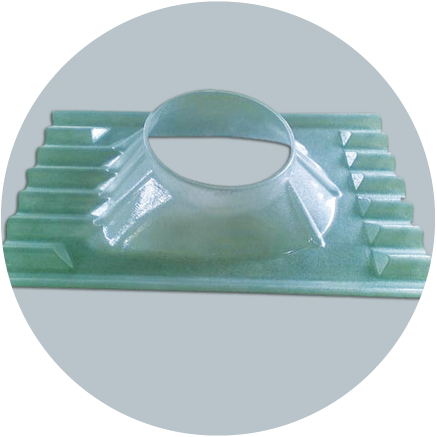 Polycarbonate Base Plates are used to install Air Roof Ventilators on the roof of the structure. Polycarbonate sheets are an excellent replacement for FRP sheets. Polycarbonate base plates transmits light up to 85% for long time. These plates are virtually unbreakable, fire-retardant, UV-Resistant, and easy to handle & install. Polycarbonate base plates can be used for Factories, Warehouses, Workshops & Industrial sheds. 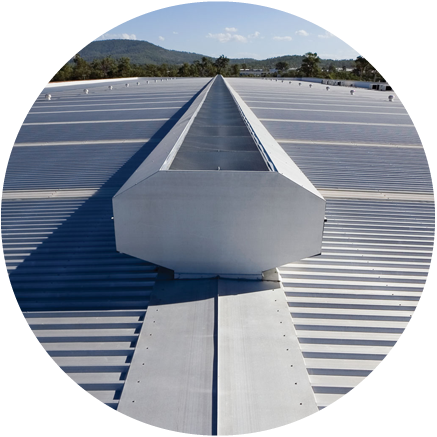 ARV's expertise in Roofing Products provides the edge with respect to precision, as the design of base plates matches that of metal sheet precision, thus eliminating the possibility of leakage. 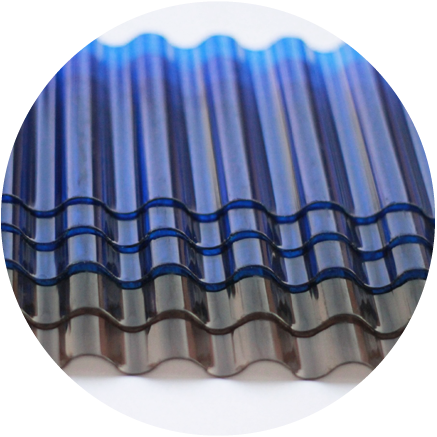 Polycarbonate roof sheets are manufactured using high quality polycarbonate polymer raw materials, which is extremely durable owing to it's high impact resistance, low scratch-resistant and also heat resistant. 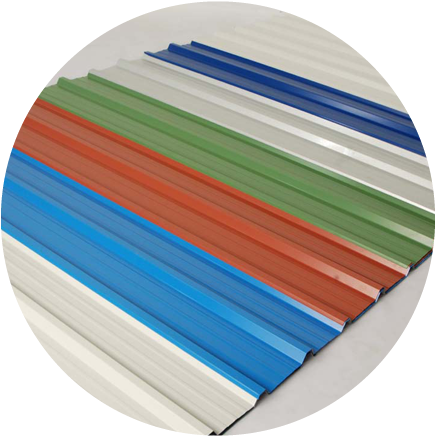 Polycarbonate material is also environment friendly and economical, owing to its durability. Polycarbonate sheets unlike other materials, are used to control the sunlight, and to maintain the temperature inside the structure. Renowned for industry expertise in roofing sheets and installations, ARV has earned a indomitable reputation for superior quality sturdy roofing sheets and ease-of-installation at the industrial units. The roofing sheets confirms to international standards and are handled only by professionals with relevant industry experience. To suit the diverse nature of requirements across varied industry segments, ARV offers a wide range of products in different dimensions and in multiple colour variants. Exhaust fan with safety louvers. Specially designed for offices, kitchens & AC Cabins, Toilets, Bathrooms, Small dark room & Laboratories. © 2017. Air Roof Ventilators. All Rights Reserved.